The Ninth Annual “Art at the Matador”, May 10 and 11. 2019 has been cancelled. Since the fire, the ChiVAA Planning Committee had debated over whether the event would be possible this year, but by March had agreed to attempt it. Members believed that a city-wide celebration of the arts would bring communities together and aid the healing process. At that time the Matador motel management was sure that the Campfire evacuees it currently houses would move to more permanent housing by May and 14 rooms would be available for the Art at the Matador. However more permanent housing has not materialized. Upon learning last week that Campfire evacuees still needed the motel’s rooms, the ChiVAA Planning Committee considered housing displays entirely under tents on the lawn. However, for understandable reasons, artists who had rented rooms in the past were reluctant to move to outdoor tents. In addition to this, participation by individual artists and arts organization thus far is down by a good third from last year as many artists from hill towns who lost homes and studios, and CSUC and Butte Art Faculties are still in recovery or helping traumatized students. Clearly, another year is necessary before Art at The Matador can thrive. ChiVAA will plan for the 2020 rebirth of Art at the Matador with the goal of uniting artists, art organizations and the public within a beautiful, historic space. This Festival fosters an awareness that a strong arts community makes Chico a better place in which to live. Thank you for your interest and support! The ChiVAA Planning Committee! ChiVAA is expanding opportunities for you as a working artist to build your arts business and to improve the cultural and economic well being of our community. We’re revving up some familiar ChiVAA projects. And, we’re dedicating the organization to delivering new opportunities for artists to flourish in our area. 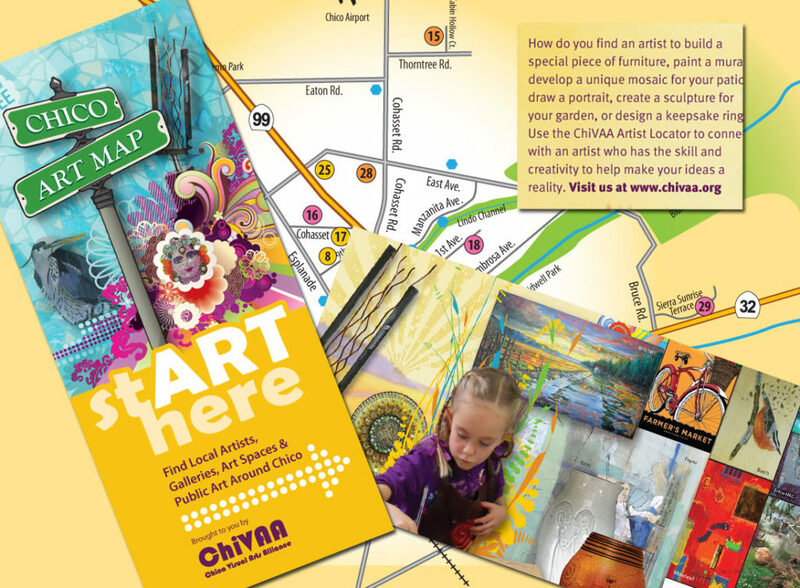 We are working on the ChiVAA Art Map online edition and accompanying brochure. We are working on the graphic art, and the brochure will be published soon but due to time constraint, we are all volunteers, we had to postpone working on this project until after the Art at the Matador. In order to be included and have your art considered for the printed brochure, make sure your ChiVAA membership is current. Sign up for MEMBERSHIP HERE. Plus send your listing info, art, statement to webmaster@chivaa.org . The dedicated webpage for members and member organizations is a new section that will be created on our website. The pages will be similar to the ones we created for Art at the Matador Exhibitors. They may include 3 to 5 images, a statement, a photo of yourself, your studio or business, contact info plus links to your website, social media. It is up to you! If you are already a member make sure your membership is current and update your info.